NFL stars may not make as much as NBA or MLB players, but let’s face it, they’re still making the big bucks. We’re constantly hearing of new blockbuster deals (yes, we’re talking about you Derek Carr, with your new five-year, $125 million contract with the Raiders) and, for the most part, they are players who are worth every penny a team is willing to pay for them. But there seems to be a theme: many of the men on this list are current or former quarterbacks, and that shouldn’t come as a surprise. Let’s face it, as explosive as running backs, wide receivers and tight ends may be, and as dominant as players such as JPP are on the defensive line, the quarterback is still king. They are usually the face of the franchise, the jersey that sells, the player who brings the crowd to the game, or even the bar. So it’s no surprise that they make a lot more money than other players on the field. And once they’re the face of the franchise, they become the face of countless of companies as part of endorsements. Just think about how many times you saw Peyton Manning on the TV screen any day of the week that wasn’t Sunday. The now-retired quarterback still has a number of endorsement deals, and they are likely to keep on coming. But others on this list made their millions after their playing days, and not from endorsement deals. If we take a look back, the quarterbacks of the past, or any other player on the field, weren’t making the same sums as today. So players like Captain America, for example, became incredibly successful businessmen after they retired from the league, and made millions more. Some of these guys should probably give courses to the younger players. 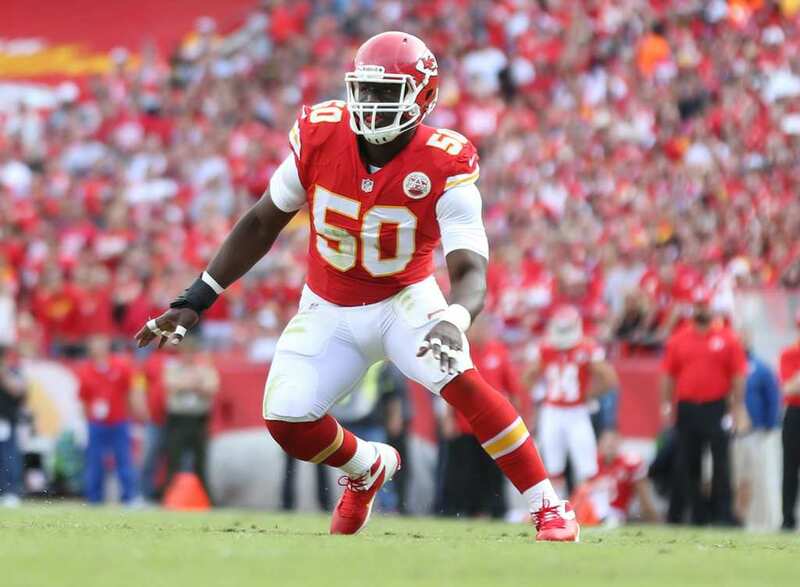 The Kansas City Chiefs linebacker is estimated to be worth about $30 million after just six seasons in the league. Houston has spent his entire career so far in Kansas City, and has tallied 243 tackles and 60.0 sacks. He’s also earned more than $40 million in salary, incentives and bonuses, and still has four more years on his contract that could more than double his fortune. So don’t be surprised if he climbs up this list in the years to come. 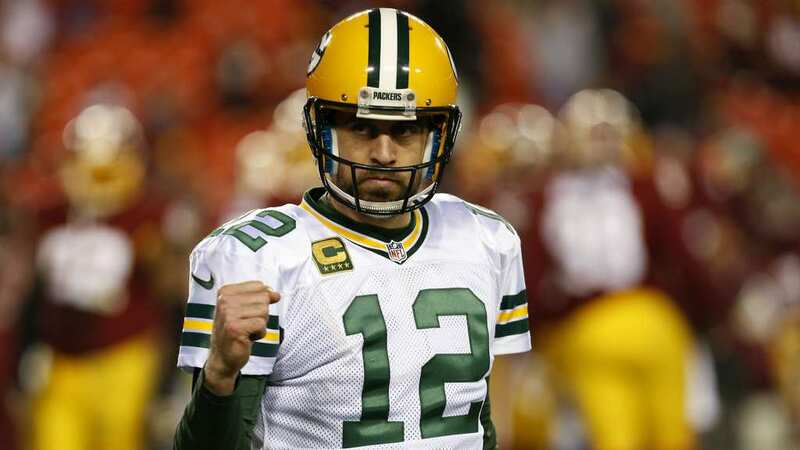 The Green Bay Packers quarterback has an estimated net worth of $30 million. Rodgers has earned over $123 million from bonuses, incentives and salary over the last 12 seasons, all in a Packers uniform, and he still has three more seasons left on his contract. Aside from that, he has endorsement deals, including the infamous Discount Double Check with State Farm. He also has a deal with Nike and his endorsements bring in several million more a year. 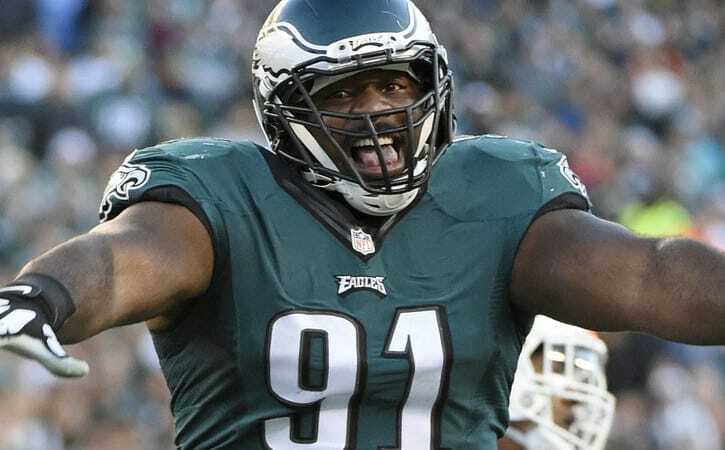 The 2-time Pro Bowler defensive tackle for Philadelphia is estimated to be worth around $30 million. Cox wrapped up his fifth season in the league with 189 tackles and 28.5 sacks for his career. So far he’s earned just $37.5 million including incentives and bonuses, but could early another nearly $90 million during the remaining six years on his contract. Cox is ranked 27th on Forbes’ list of to paid athletes, and almost all of his earnings come from his career on the field. The Hall of Fame running back played 11 seasons in the league, most of them with San Diego. Tomlinson is estimated to be worth around $32 million. He earned more than $56 million through his salaries, incentives and bonuses. He also had a list of endorsements including AT&T, Campbell Soup and Nike, to name a few. 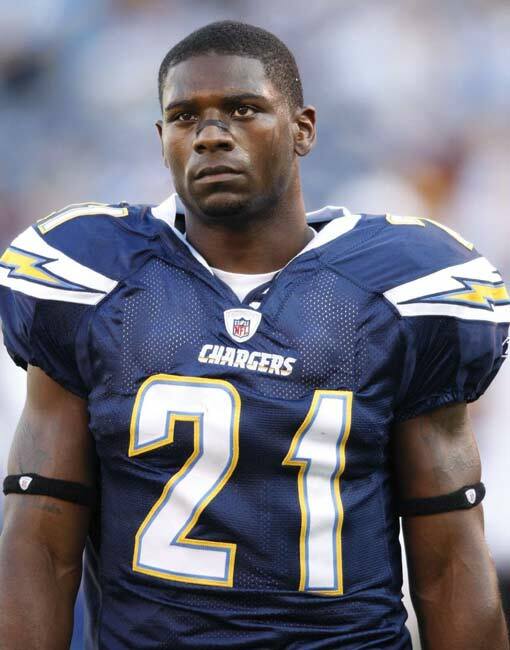 He retired after the 2011 season, and totalled 13,684 rushing yards for his career with 145 rushing touchdowns. He was inducted into the Hall of Fame in 2017. 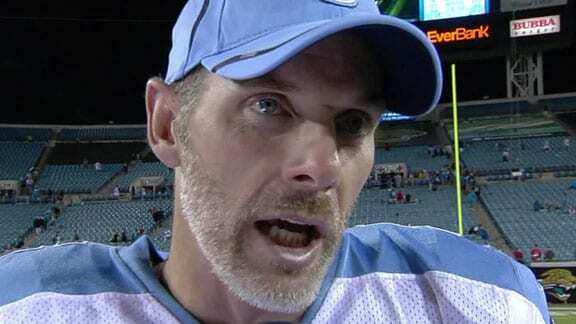 The Detroit Lions quarterback has an estimated net worth of $35 million. 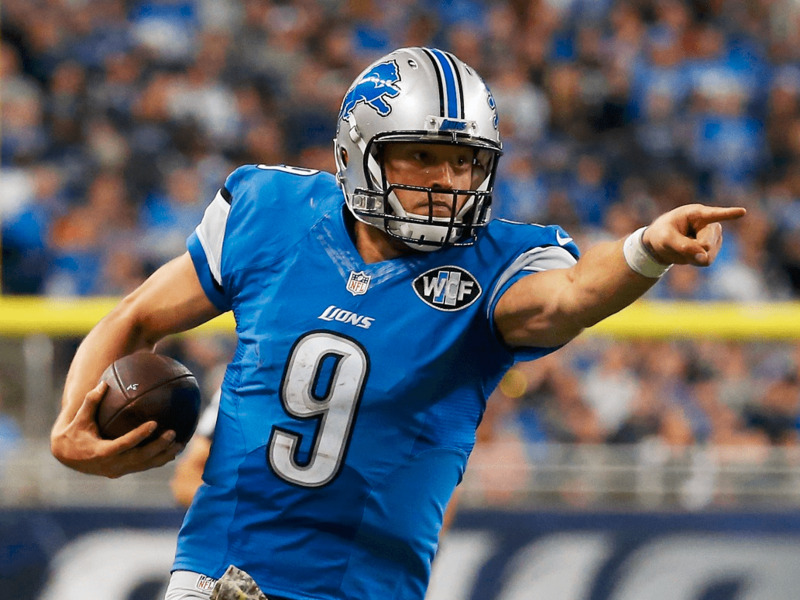 Stafford has suited up for Detroit for eight seasons, throwing for 30,303 yards, 187 touchdowns and 108 interceptions. Over the years, he’s earned over $110 million from salary, bonuses and incentives, with another $16.5 million owed to him next year. Aside from playing, Stafford makes extra money from endorsements, including Blue Cross/Blue Shield, PepsiCo and Nike. In 2014 he made it to no. 18 on Forbes’ list of top-paid athletes. The former quarterback is estimated to be worth about $35 million. 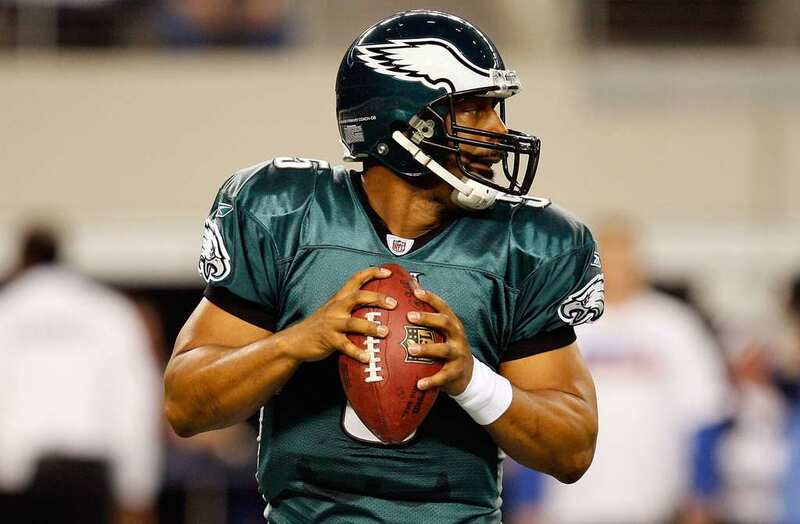 Donovan McNabb spent most of his career as a member of the Philadelphia Eagles, before playing a season in Washington and another in Minnesota. McNabb made $97.5 million in salary and bonuses over his 13 seasons in the NFL. The QB threw for 37,276 yards for his career with 234 touchdowns. He made six Pro Bowl appearances, and made it to the Super Bowl in 2005, but he never won a ring. The Super Bowl Champion spent most of his 12-year career with the Dallas Cowboys before heading to the Mile High City to suit up for the Broncos. It’s there that he won his Super Bowl ring. But Ware made the most of his money in Dallas. He earned $89.9 million in salary, incentives and bonuses, and more than $63.6 million was from his Cowboys days. 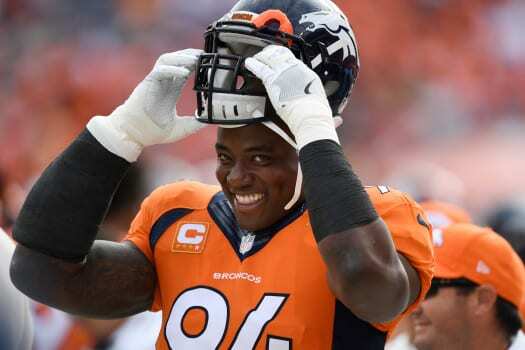 Ware, who recently retired, tallied 505 tackles and 138.5 sacks for his career. Legendary quarterback Dan Marino has an estimated net worth of approximately $35 million. 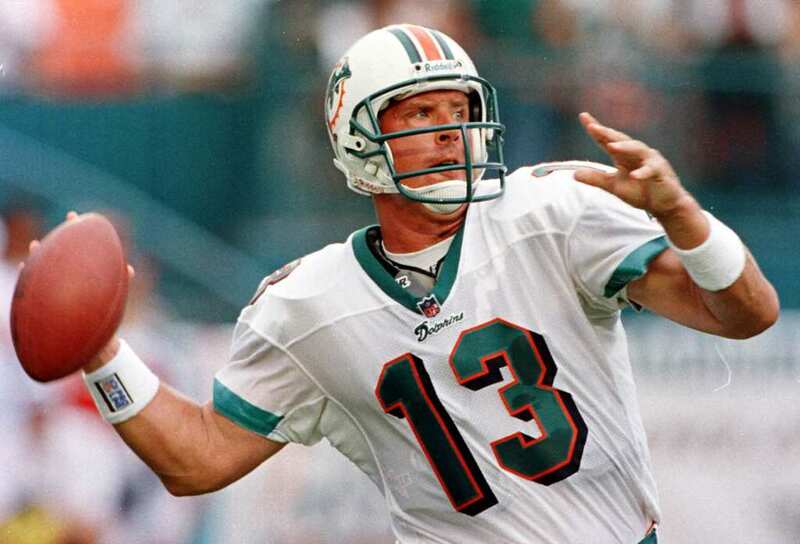 Marino played from 1983-1999, starring for Miami every single season. He is a 9-time Pro Bowler, 3-time All Pro, MVP and Hall of Famer, but never managed to win a ring. Throughout his career with the Dolphins, Marino earned $33.6 million in salary and added another $18 million from bonuses and incentives. He’s had endorsement deals over the years, including Nutrisystem. The Kansas City quarterback is worth an estimated $35 million. Alex Smith began his career with seven seasons in San Francisco playing for the 49ers and has completed his fourth season with the Chiefs. So far, he’s earned $51 million from his salaries, with another $42 million coming from incentives and bonuses. 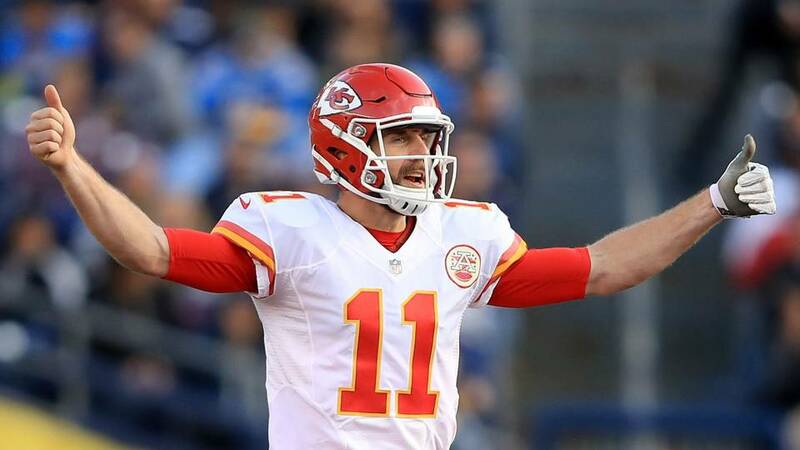 The quarterback still has two more years on his contract with the Chiefs, and could add another $30 million to his fortune. He’s never been one of the top, top paid athletes in the world, but he did crack Forbes’ top 100 highest-paid in 2015. The former quarterback is worth an estimated $39.5 million. Collins spent 17 seasons in the NFL, playing for the Panthers, Giants, Raiders, Titans and retiring after a season with the Colts (during which he only played in 3 games). He earned $26 million from his salary and added about $37 million more from bonuses and incentives. Collins threw for 40,922 yards and 208 touchdowns throughout his career. He appeared in two Pro Bowls, but never managed to win a Super Bowl ring. The longtime quarterback has played in 13 seasons so far and is worth approximately $40 million. 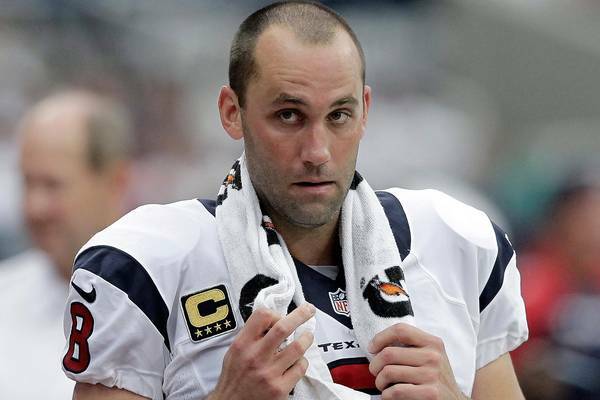 Schaub, who returned to Atlanta in 2016 but didn’t get much playing time, earned $42 million from his salary and $82 million when you include bonuses and incentives. He still has two more seasons on his contract that could add another close to $10 million. He previously landed the no. 50 spot on Forbes’ top-paid athletes list (in 2013). The longtime New Orleans running back has an estimated net worth of $40 million. 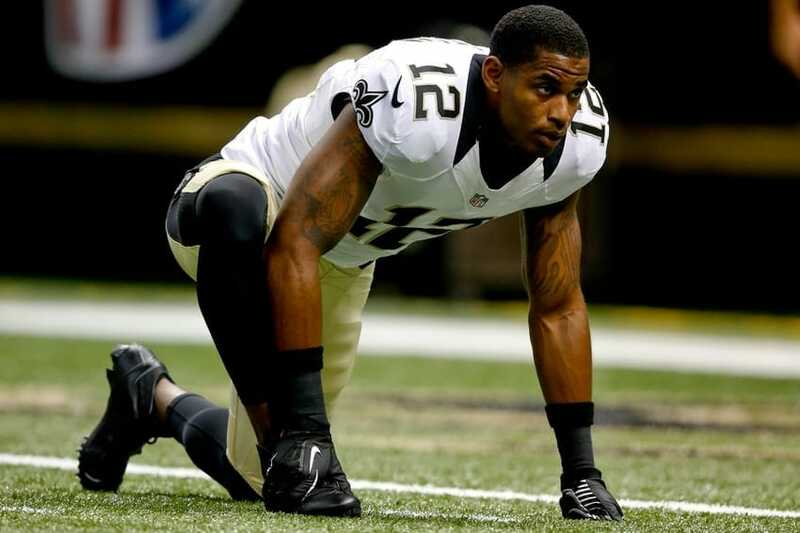 Colston spent ten seasons with the Saints, earning $18.9 million in salaries. But once you add his incentives and bonuses, Colston’s earnings reach $41.5 million. The Super Bowl Champion had an endorsement deal with water brand for children called WAT-AHH! He also invested in a startup called Enerskin, which specializes in compression apparel. Colston racked up 9,759 receiving yards and 72 touchdowns. The former running back spent 11 seasons in the league, playing for the Colts, Cardinals and Seahawks, and is worth approximately $40 million. James made $28 million from his salary, but added another $60 million from incentives and bonuses. He had 12,246 rushing yards for his career and 80 rushing touchdowns, plus another 3,364 receiving yards with another 11 touchdowns. He made four Pro Bowl appearances and was named All Pro once, but he never managed to win a Super Bowl ring. 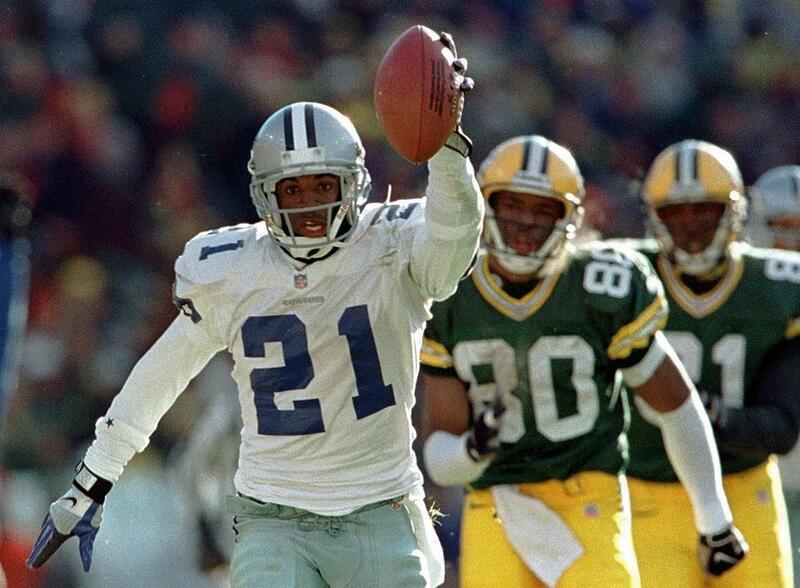 Deion Sanders is a special case, considering he played both football and baseball. He is worth an estimated $40 million. Sanders earned $33 million from salaries, incentives and bonuses just for his football career, a 14-season long career. He also played nine seasons in the MLB, and after retiring as a player, he became a TV analyst, currently working with the NFL Network. During his playing days, Sanders tallied 493 tackles and 53 interceptions. As a baseball player he batted .263 with 39 home runs. 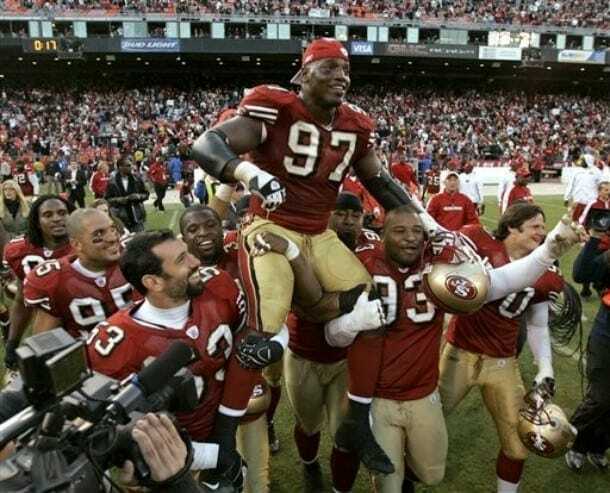 The former San Francisco 49ers defensive tackle has a net worth of approximately $40 million. Young spent 14 seasons in the league, is a Super Bowl champion, 4-time Pro Bowler and was once an All Pro. He tallied 510 tackles and 89.5 sacks for his career. Back in 1997, before his fourth season in the NFL, Young signed a contract extension worth $26 million over six years. At the time, it made him the top-paid defensive tackle in the league. Andrew Luck recently grabbed the no. 6 spot on Forbes’ top-paid athletes list. The quarterback is already worth some $40 million, and made $50 million between June of 2016 and June 2017. 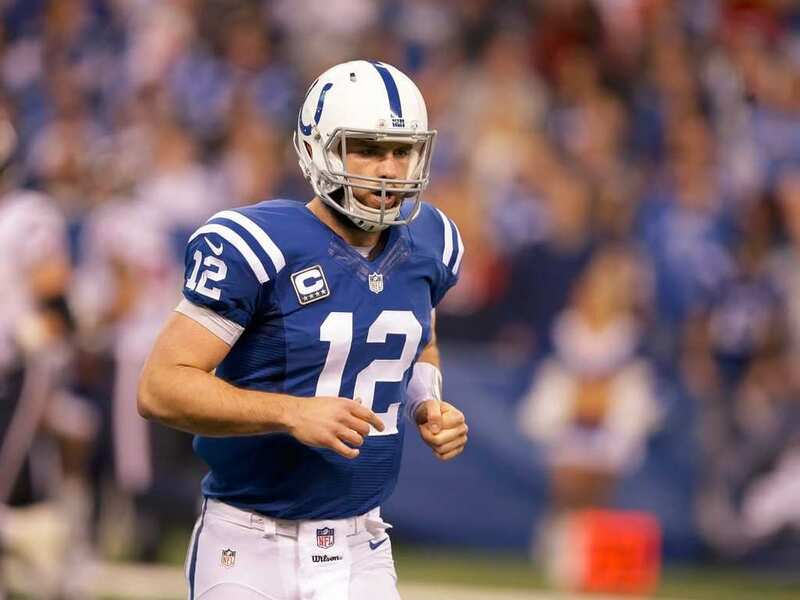 Luck signed a $123 million contract for five-years with the Colts, and has already earned more than $52 million with incentives and bonuses. Luck also has a list of endorsements that includes DirecTV and BodyArmor, which earned him $3 million over that same year. The Super Bowl Champion quarterback is worth an estimated $45 million. Russell Wilson has only played five seasons in the NFL, all with the Seattle Seahawks, and earned $14 million so far from his salary, while adding another close to $32 million from incentives and signing bonus (he’s made $31 million just from signing bonuses). Wilson still has three seasons left on his contract that could double his earnings. The QB also has a long list of endorsement deals including Braun and Microsoft, and even launched his very own clothing line. 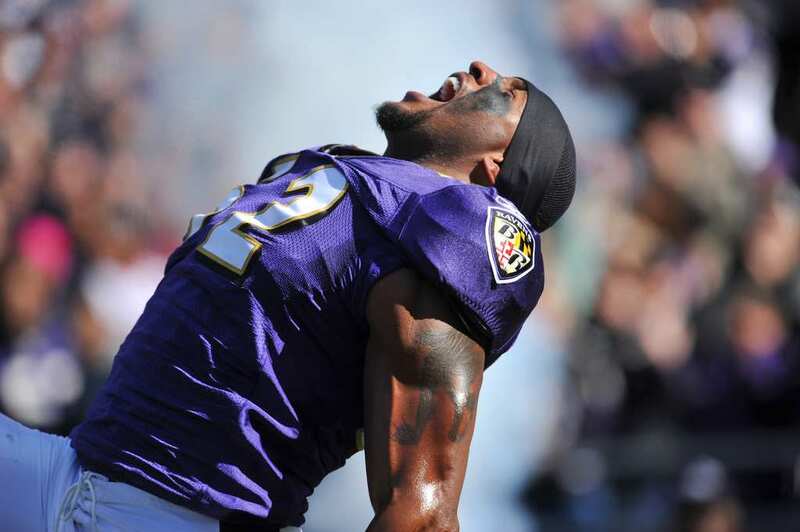 The 2-time Super Bowl champion and long-time Baltimore Ravens linebacker has a net worth of approximately $45 million. Lewis spent 17 seasons in Baltimore, earning more than $95.7 million in salary, incentives and bonuses. Over the years he’s had endorsement deals with Under Armour, among others. But his indictment in 2000 had some effect on his endorsement deals. Since retiring he also spent some time as an ESPN analyst, but his tenure there did not last long. 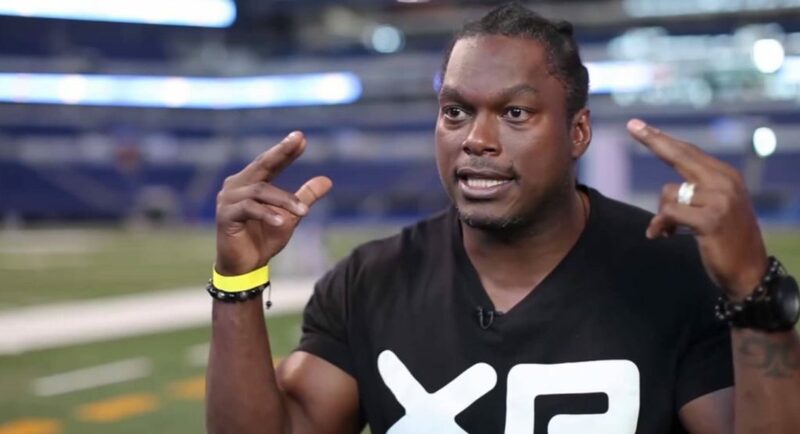 LaVar Arrington spent seven years in the NFL, and is worth approximately $45 million. Back in 2004, he was ranked 35th on Forbes’ list of top=paid athletes. Over the years he earned $43.9 million from his salary, bonuses and incentives. After his playing days, Arrington formed a sports agency called LEAP Management and for a while co-hosted a radio show. While playing, Arrington tallied 331 tackles and 23.5 sacks. He also added three interceptions for 130 yards and a touchdown. 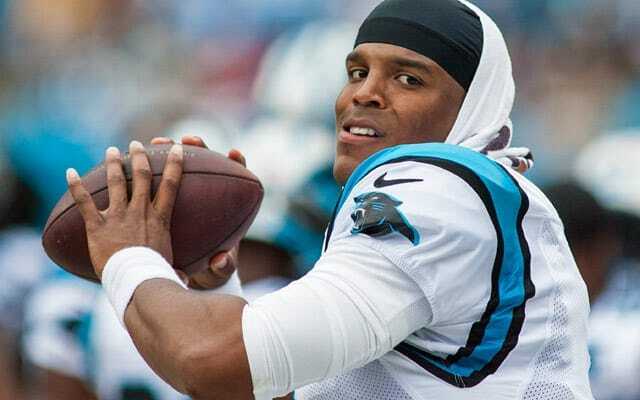 Cam Newton, AKA Superman, is estimated to be worth approximately $45 million. The Panthers quarterback has played in only six seasons in the league, taking the team to the Super Bowl in 2016, but lost to Peyton Manning and the Broncos. Newton has already earned more than $66 million from his salary, bonuses and incentives, and still has four more years on his contract. The former no. 1 overall draft pick also has a list of endorsements including Under Armour, Gatorade, Danon and Beats. Megatron has an estimated net worth of $45 million. 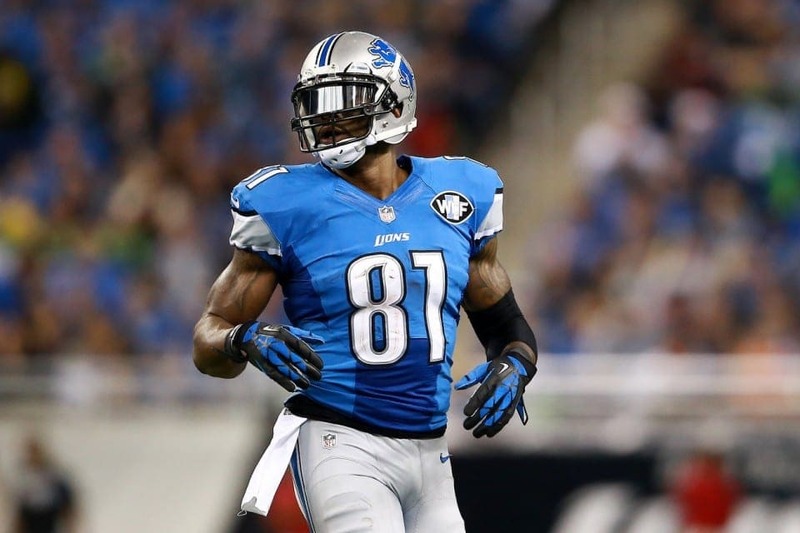 The wide receiver spent nine seasons in the league, all with the Detroit Lions. He tallied 11,619 receiving yards for his career with 83 touchdowns. Throughout the years he earned $37 million from his salary, but added another approximately $76 million from incentives and bonuses. At one point, Johnson was the highest-paid receiver in the NFL. Over the years he’s also made extra cash from endorsement deals. The former defensive tackle has a net worth of approximately $45 million. Haynesworth spent ten seasons in the league, playing for Tennessee, Washington and half a season with both New England and Tampa Bay. During his years in the league, the big man earned $23 million in salary and $54.9 when you include incentives and bonuses. 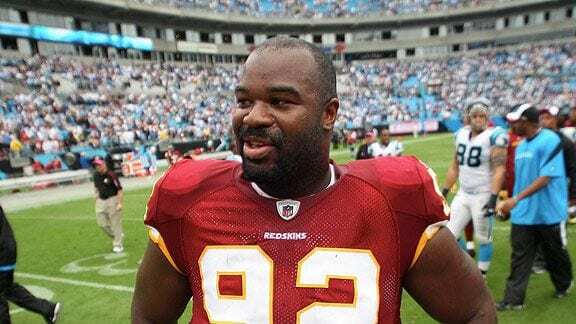 He retired after the 2011 season, and later claimed the Redskins made him lose his love for football. Makes you wonder what would have happened of no love was lost. The former quarterback is worth an estimated $48 million. 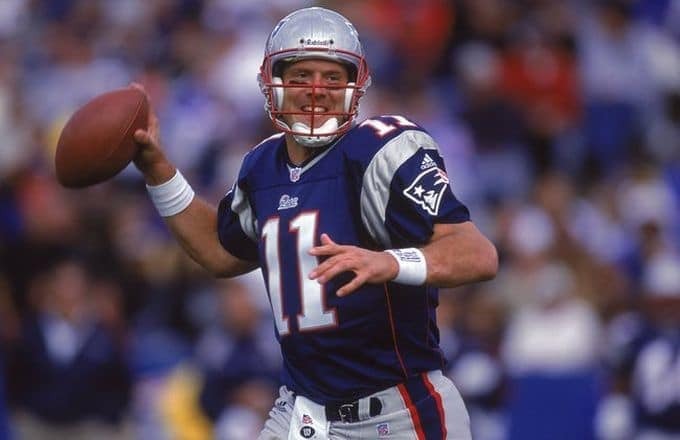 Drew Bledsoe spent most of his career with the New England Patriots, until a young man named Tom Brady came along…. Bledsoe then played three seasons with Buffalo and another two with Dallas. He threw for 44,611 yards and 251 touchdowns for his career, while earning nearly $50 million in salary. When you add his incentives and bonuses, Bledsoe’s earnings come out to about $79 million. 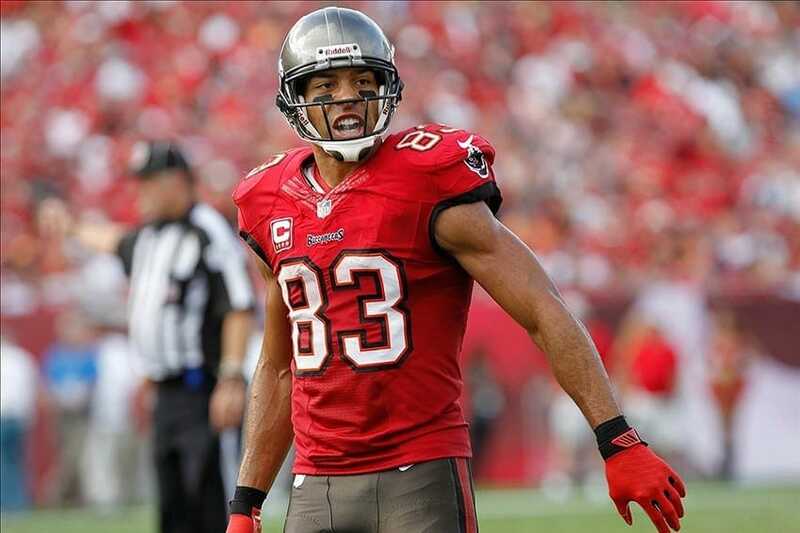 Vincent Jackson is currently an unsigned free agent, so any new contract could change his ranking on this list. Jackson, who spent 12 seasons in the league so far, is worth approximately $50 million. He spent his career playing for the Chargers and Buccaneers, earning $55 million from his salary, and more than $71 million when you include incentives and bonuses. He’s made most of his money from his salary, but according to Forbes, he’s also made money from endorsements, although it’s pocket change compared to his contracts. The longtime San Diego Chargers quarterback is worth an estimated $50 million. 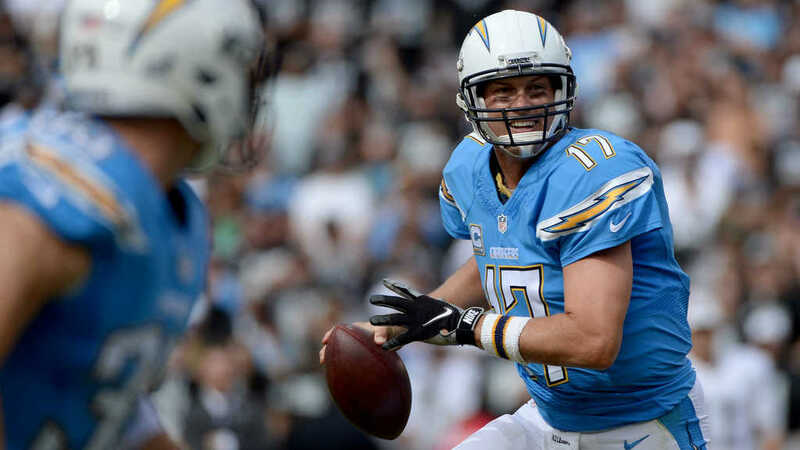 Rivers wrapped up his 13th season in the league, throwing for 45,833 yards and 314 touchdowns. He’s earned over $90 million in salary, and added another approximately $80 million in incentives and bonuses. He still has three more years on his contract that could add more than $40 million. He was 20th on Forbes’ list of top-paid athletes in 2016, after renewing his contract with the Chargers. 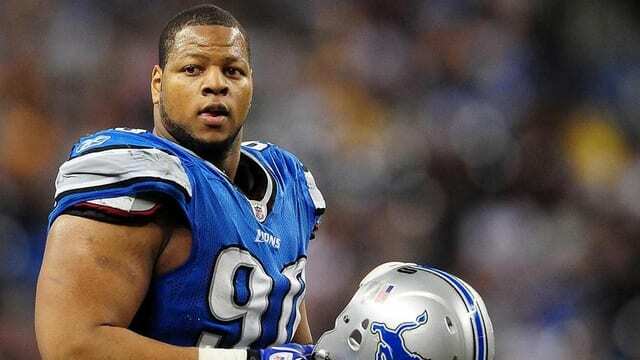 Back in 2015, Ndamukong Suh was ranked 16th on Forbes’ list of top-paid athletes, and 57th on top celebrity 100. The defensive tackle spent five seasons in Detroit before heading to Miami. So far he’s earned $104 million from his salary, incentives and bonuses and is likely to add another $70 million in the next four years (his full contract with the Dolphins). He’s also spent a decent amount of money on fines and suspensions by the league. According to Spotrac, he’s paid over $600,000 in fines. The former cornerback for the Seattle Seahawks is worth an estimated $50 million, and missed out on a Super Bowl by just a year. Trufant retired after the 2012 season, with 563 tackles and 21 interceptions. Unlike many others on this list, Trufant didn’t make a lot of money from his salaries and incentives, just $36 million. After his playing days, Trufant became a businessman; he owns a few self-storage companies as well as an business for auto detailing. He also co-hosts and produces a radio show. 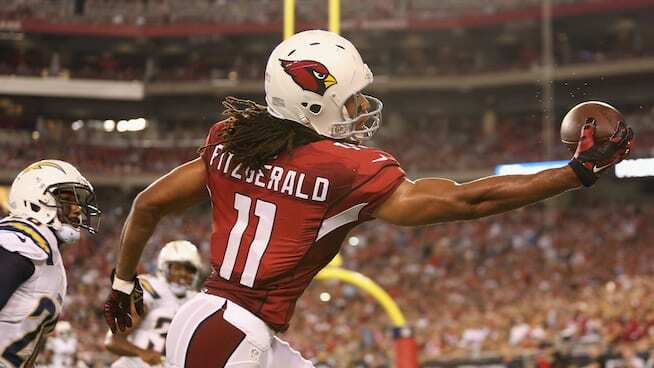 Larry Fitzgerald finished his 13th seasons with the Arizona Cardinals and is estimated to be worth around $50 million. The wide receiver tallied 14,389 reception yards and 104 touchdowns throughout his career. He also earned $140.2 million from his salary, incentives and bonuses. Fitzgerald still has a year left on his contract that could add at least another $11 million to his fortune. Backi n 2014, he was Forbes’ #89 on the top-paid athletes list and has endorsement deals with Powercube, Nokia and Lenovo just to name a few. 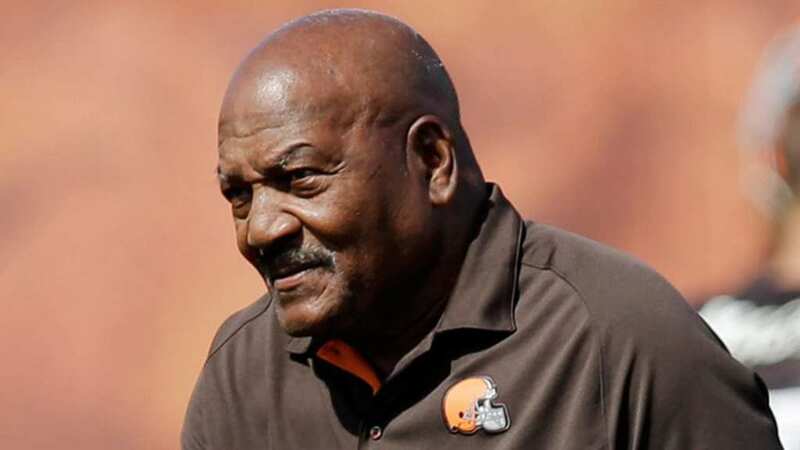 Many would argue that Jim Brown is the GOAT. The Hall of Fame fullback was a trailblazer as well as a star player. 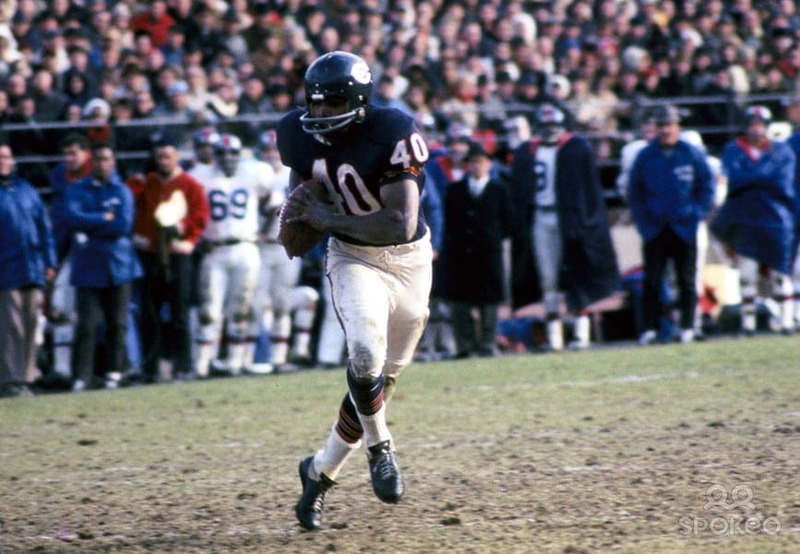 He won a Super Bowl, three MVP awards, appeared in 9 Pro Bowls and was inducted into the Hall of Fame in 1971. Some would say Brown retired too soon, but he found a successful life outside of football, as a movie and TV star – he was in “100 Rifles,” “The Dirty Dozen” and “The Grasshopper,” among others. He was also a leader and activist. The Hall of Fame running back spent only seven seasons in the league, and was limited his final two seasons because of an injury to his left knee. He eventually retired, after several years of battling injuries, including ruptured ligaments in his right knee several years earlier. But Sayers is still worth some $50 million. After his playing days, Sayers stuck around the sports world, and eventually served as athletic director for Southern Illinois University. The long-time cornerback, eight-time Pro Bowler and Hall of Famer is worth an estimated $50 million. 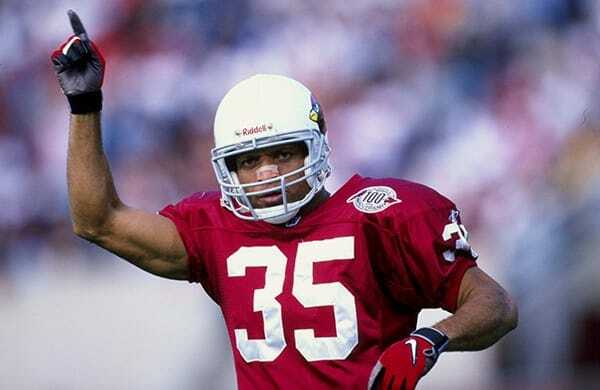 Aeneas Williams played 14 seasons in the league, for Phoenix/Arizona and St. Louis, tallying 672 tackles, 807 interceptions and eight touchdowns. Back in the early 2000s, Williams signed a three year, $14.7 million contract with the Rams, and officially left the Cardinals. That contract came with a $3.6 million signing bonus, which is minimal in today’s terms. 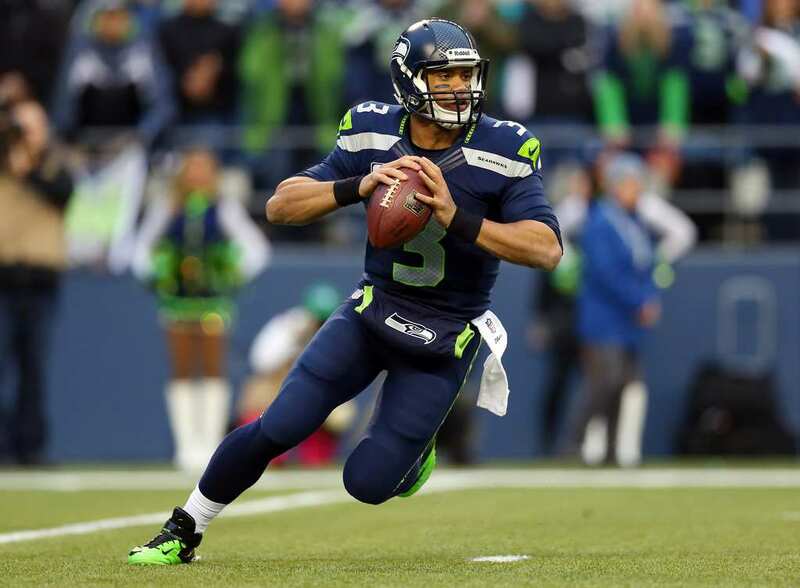 The Super Bowl winning quarterback is worth an estimated $55 million. 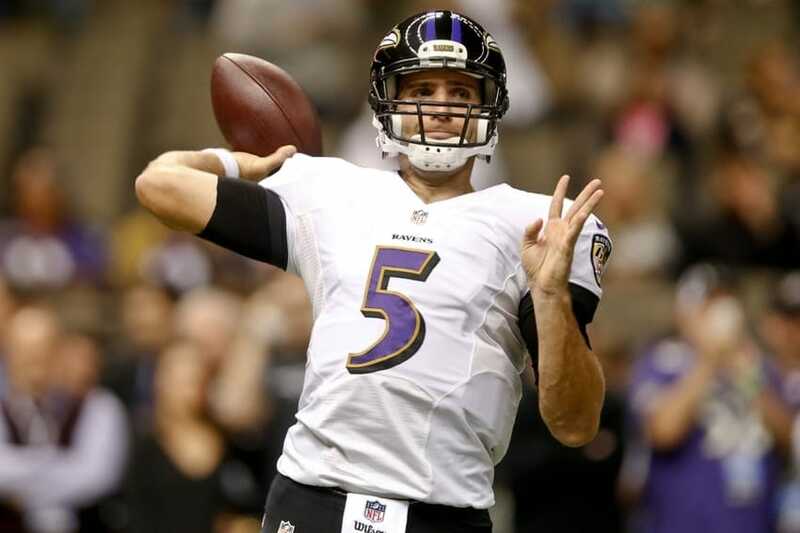 Flacco has spent his entire career in Baltimore with the Ravens, nine seasons in total. He’s thrown for 32,639 yards and 182 touchdowns. Over the years, Flacco has earned $30 million from his salary, but added more than $80 million more from incentives and bonuses. He still has five years left on his contract that could almost double his earnings. According to Forbes, in 2016 he also made half a million from endorsements. The 3-time Super Bowl Champ and Hall of Fame wide receiver is worth an estimated $55 million. 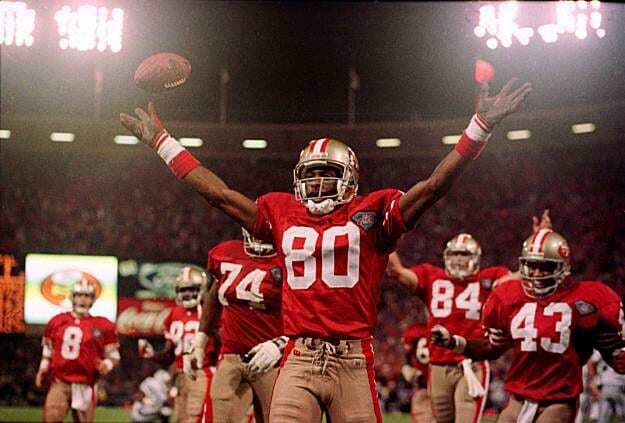 Rice spent 20 seasons in the NFL, in the ‘80s, ‘90s and early 2000s, playing most of them for the 49ers. According to Spotrac, his career earnings from his salary total $42.3 million from salary, incentives and bonuses. On the side, Rice has enjoyed endorsement deals with Visa, All Sports, Gatorade and event a season on Dancing with the Stars. 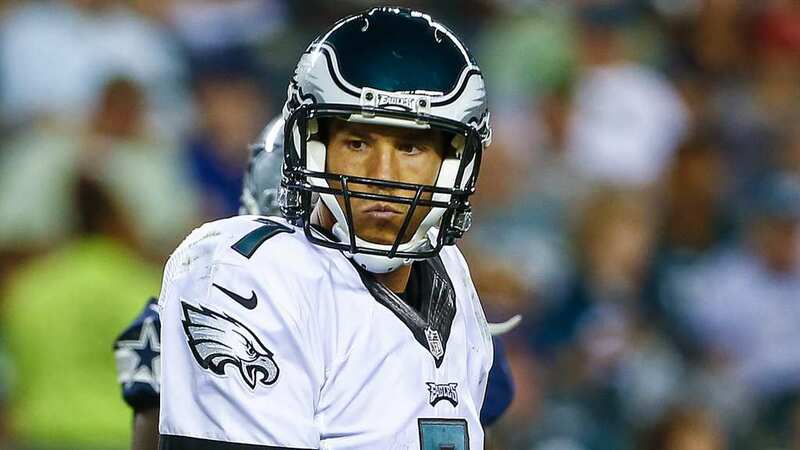 Once upon a time, Sam Bradford was no. 27 on Forbes’ list of top paid athletes. That once upon a time wasn’t that long ago, it was in 2012. The still young quarterback is currently worth approximately $60 million after only six seasons in the league, with St. Louis, Philadelphia and most recently the Vikings. Bradford so far has earned nearly $50 million from his salary and added another close to $50 million from bonuses and incentives. He still has a year left on his contract that could add another $20 million. The longtime quarterback who graced the gridiron in the 1960s and ‘70s is worth an estimated $60 million. 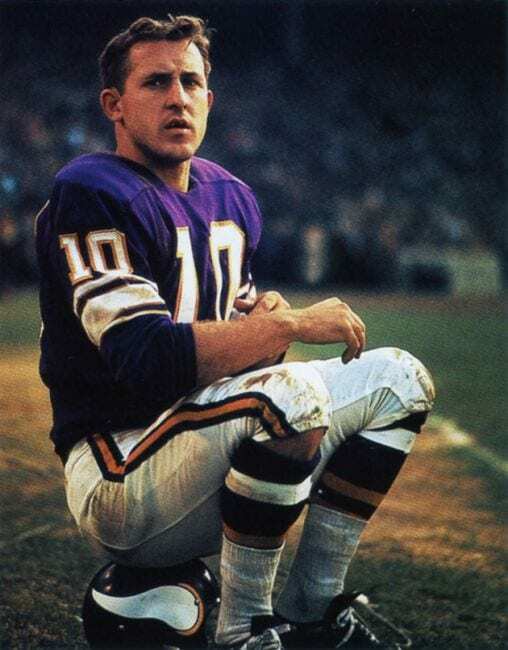 Tarkenton played for the Minnesota Vikings, New York Giants and again back to the Vikings, during his 18 year career. He threw for 47,003 yards and 342 touchdowns, was an MVP, 9-time Pro Bowler and was named to the Hall of Fame. After his playing days he became an entrepreneur and at one point owned seven companies. 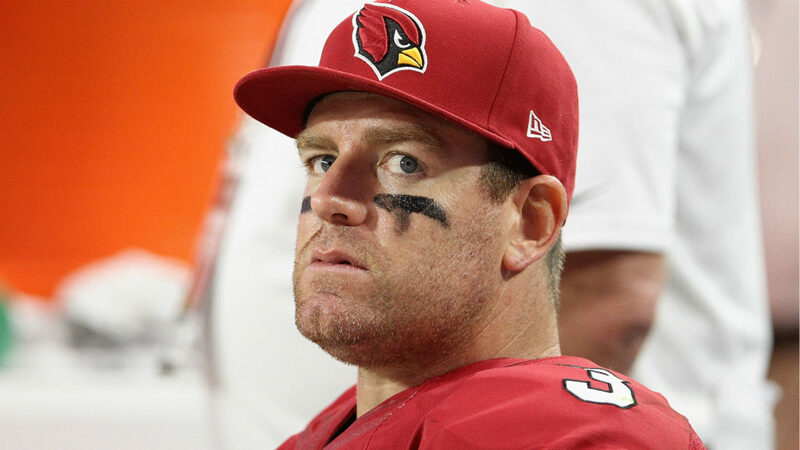 Throughout his career, Carson Palmer has earned $156.6 million from his salaries, incentives and bonuses and he still has two seasons left on his contract. Palmer, a 3-time Pro Bowler, is now estimated to be worth around $60 million. Most of his fortune comes from his contract, but according to Forbes, in 2015 he made an estimated half a million dollars from endorsements. Palmer has spent 13 seasons in the league, throwing form 44,269 yards and 285 touchdowns. 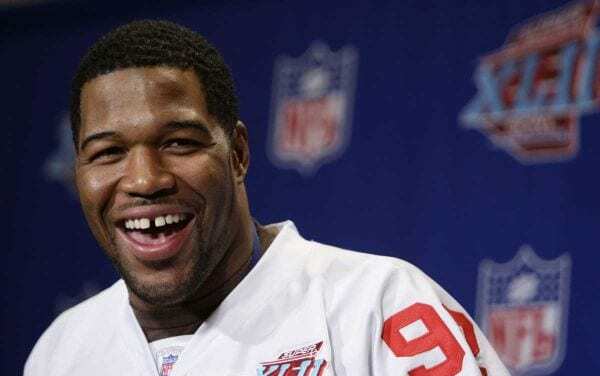 Michael Strahan may be having as much fun in his post playing days as during his playing days, and still making money. The long-time Giant played 15 seasons in the NFL, tallying 659 tackles and 141.5 sacks. Strahan earned $40 million from his salary and $76 million once you add incentives and bonuses. Over the years he had several endorsement deals, but had to give them all up in 2016 when he signed a contract with Good Morning America. The newly-retired quarterback spent his entire 13 season career with the Dallas Cowboys (including 2016, in which he played only a single game). He is worth an estimated $70 million. Romo earned $31.1 from his salary, but added nearly $100 million more from bonuses and incentives. Since retiring, Romo announced he is headed for the broadcaster booth as an analyst with CBS. 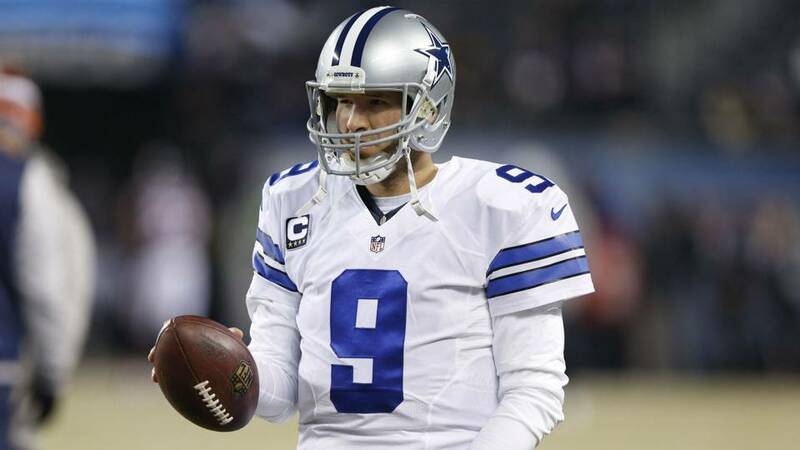 During his career, Romo threw for 34,183 yards and 248 touchdowns, but never won a Super Bowl. 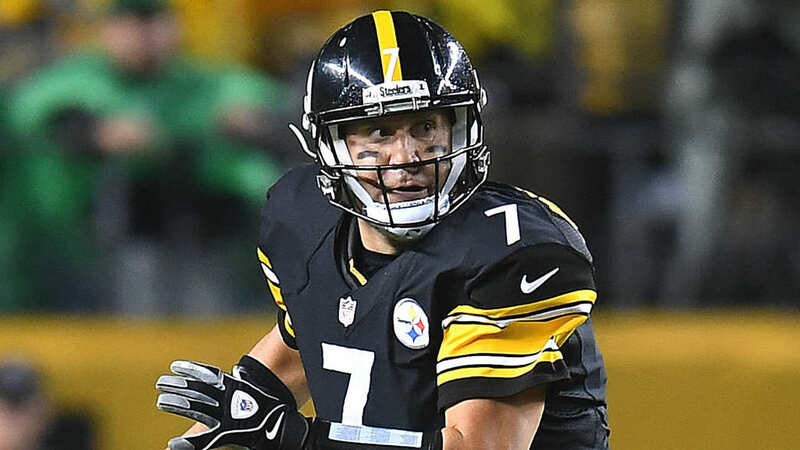 The two-time Super Bowl Champion and longtime Pittsburgh Steelers is worth an estimated $70 million. Roethlisberger has thrown for 46,814 yards for the Steelers, and 301 touchdowns. He’s also earned $55.9 million from his salary, and added another almost $100 million from incentives and bonuses. He still has three years on his contract that could add another nearly $50 million from his salary alone. Aside from his player salary, Roethlisberger also has endorsement deals that add approximately $2.5 million according to Forbes. The Comeback Kid is worth an estimated $80 million. 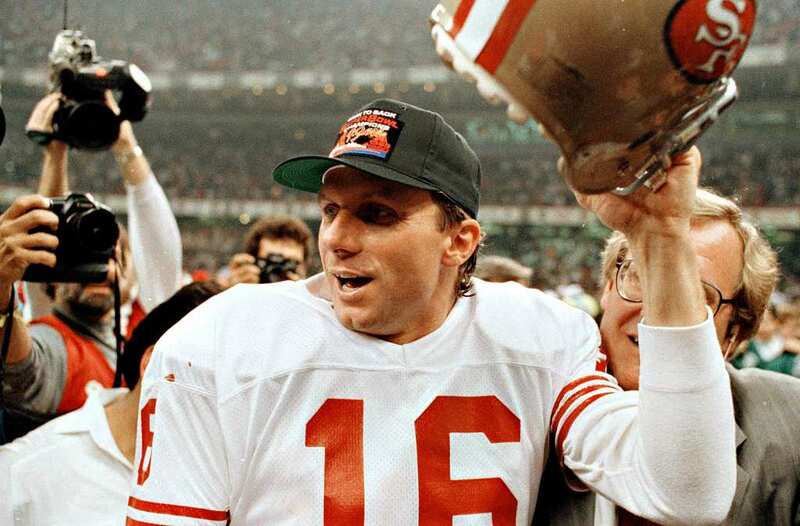 Joe Montana is a 4-time Super Bowl champion, 8-time Pro Bowler, 2-time MVP and Hall of Fame quarterback. He spent 13 seasons in the league, most of them with the San Francisco 49ers, throwing for 40,551 yards and 273 touchdowns. Back in 1990, he became the highest paid player in the NFL, with a four-year $13 million contract. He’s making more money in his post-playing career, including endorsements for Hugo Boss and AT&T and reportedly earns $50,000 just for speaking appearances. 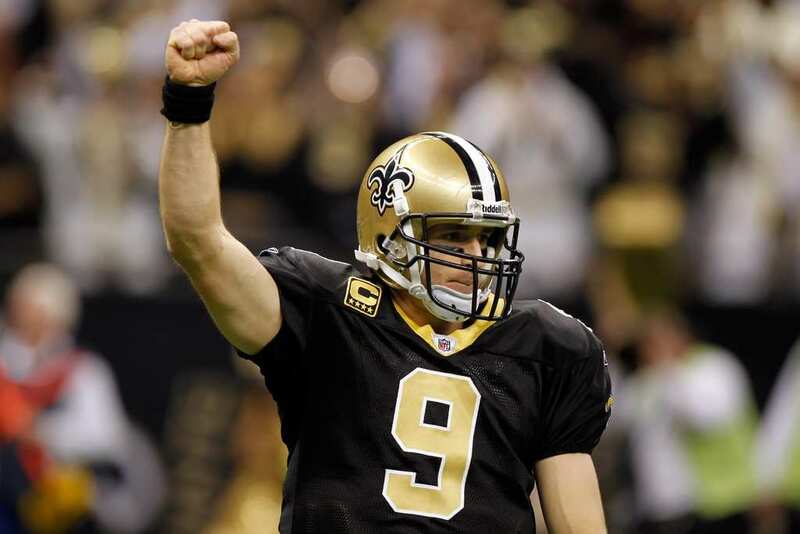 The New Orleans Saints quarterback has an estimated net worth of $80 million. Brees has made $181.7 million from his career earnings, including $40 million in 2012 alone (which included a hefty signing bonus). Brees has a Super Bowl under his belt and nine Pro Bowls. He also came in as number 11 on Forbes’ list of top-paid athletes of 2017, and has endorsement deals with Wrangler, PepsiCo, Nike and Verizon just to name a few. 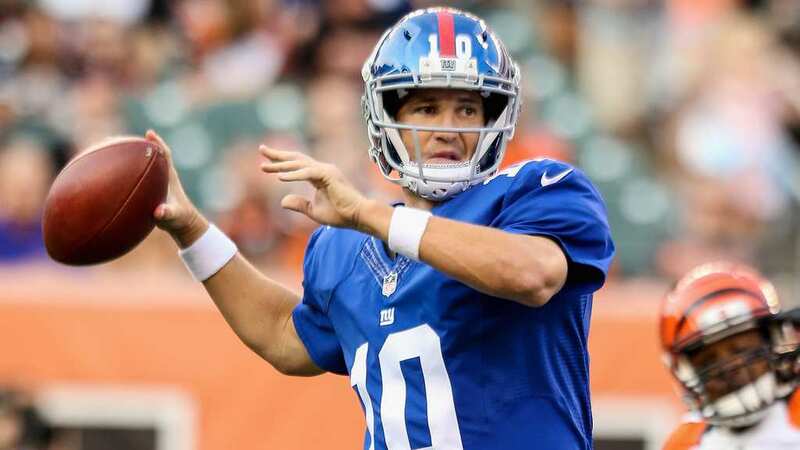 The current New York Giants quarterback has a net worth of approximately $100 million. Eli, like his brother, is a two-time Super Bowl winner and made four Pro Bowl appearances. During his 13 seasons so far with the Giants, Eli has thrown for 48,218 yards and 320 touchdowns. Per Spotrac, he’s earned over $93 million from his salary and more than $205 million with incentives and bonuses. He still has three more years on his current contract and could earn another close to $50 million. Like his brother, Eli also has a list of endorsement deals. The quarterback who just couldn’t stay retired is worth an estimated $100 million. 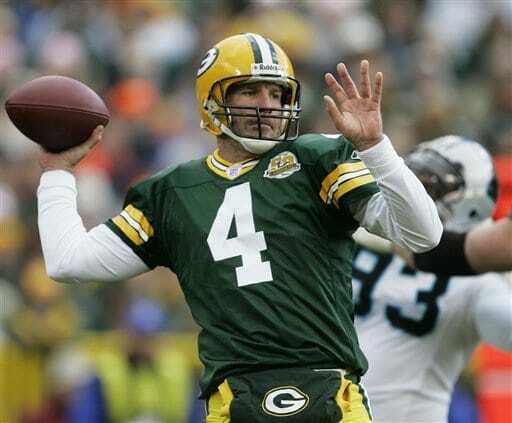 Brett Favre played 16 seasons for the Packers, a season for the Jets and two seasons for the Minnesota Vikings before finally stepping away from the game of Football. He threw for 71,838 yards and 508 touchdowns for his career while earning over $90 million just from his salary and $137.8 million when you include incentives and bonuses. Aside from his playing, you probably remember his Wrangler jeans commercials. He reportedly made another several million a year from endorsement deals. 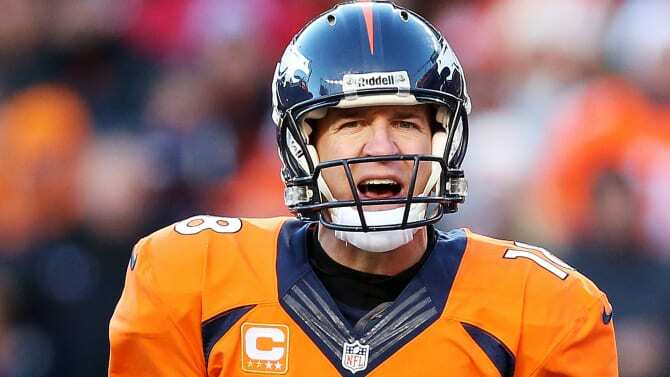 The former quarterback turned Broncos executive has an estimated net worth of $145 million. 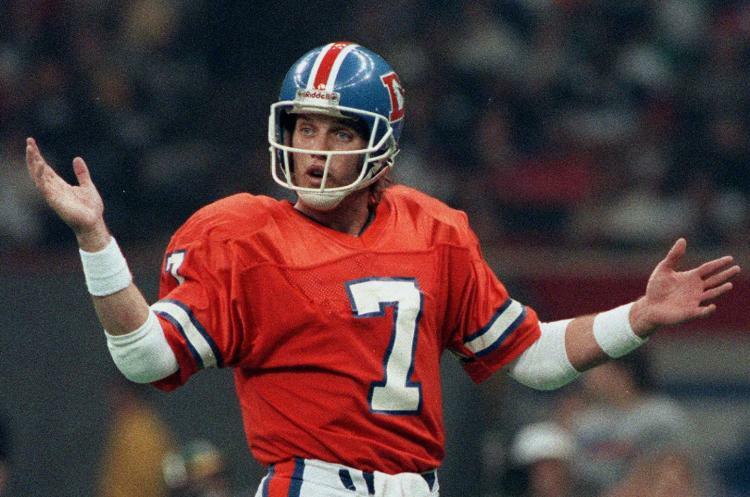 Elway spent 16 seasons playing in the NFL, all for the Denver Broncos. He won two Super Bowls, was an MVP, a 9-time Pro Bowler and was inducted into the Hall of Fame in 2004. Back in 1993 Elway signed a contract worth $20 million, which at the time made him the league’s top paid athlete, passing Dan Marino. As an executive, Elway earns $3 million a year from the Broncos. Tom Brady may be the best quarterback of all time, especially after his latest Super Bowl heroics. Brady is estimated to be worth about $180 million. 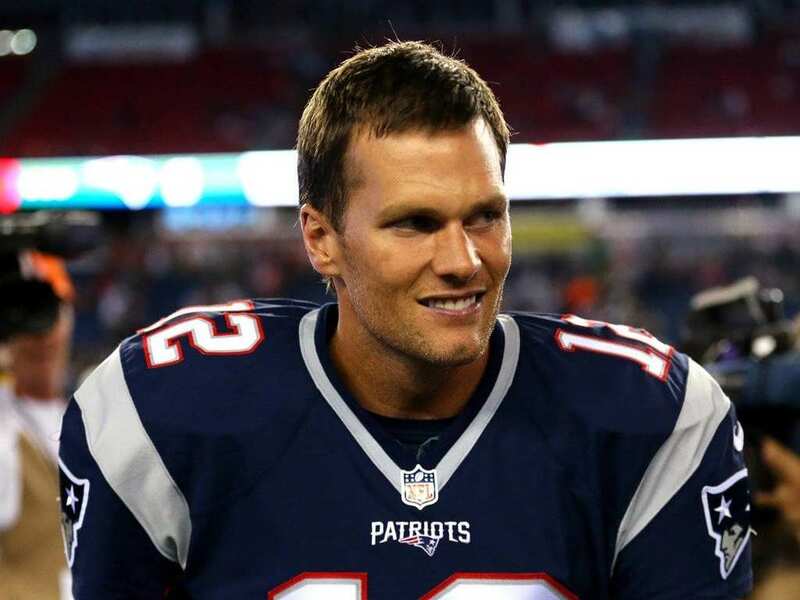 The New England quarterback has already played 17 seasons in the league, won five Super Bowls, played in 12 Pro Bowls, and was named MVP twice. So far he’s earned $43.5 million from his salary, but added more than $100 million from incentives and bonuses throughout the years. According to Forbes, he also made an additional $8 million in endorsements this past year. 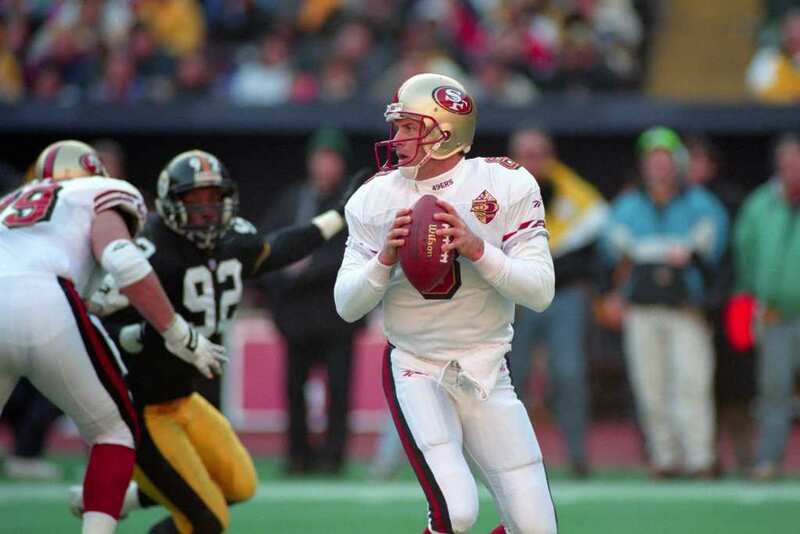 The former San Francisco quarterback has an estimated net worth of $200 million. He spent 15 seasons in the league, 13 of them with the San Francisco 49ers. Young threw for 33,124 yards and 232 touchdowns during those 15 seasons. He won two MVP awards, three Super Bowls, was a seven time Pro Bowler and was inducted into the Hall of Fame in 2005. After his playing days, Young continued making money as a broadcaster. 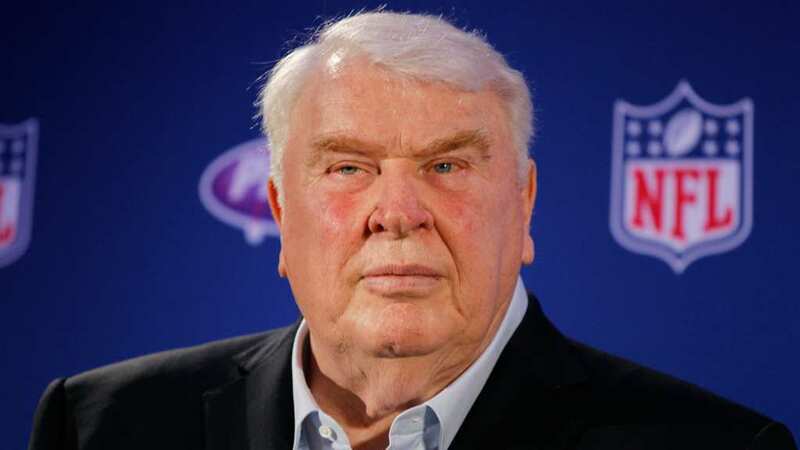 John Madden did not get a chance to enjoy a lengthy playing career because of a knee injury. But the player-turned coach, broadcaster and the face of the Madden video games is worth an estimated $200 million. Madden coached the Oakland Raiders for 10 years, winning a Super Bowl in 1976. His earnings as a coach aside, according to Forbes, Madden was paid $9.5 million a year by NBC for his role as a broadcaster on Sunday Night Football. He also receives money from EA Sports for using his name. The retired quarterback is worth an estimated $200 million. When he retired from the game, Pey Manning had a record in career earnings, worth $400 million including salary, endorsements, etc. He earned $248.7 million from his salary, incentives and bonuses during his 17 season career in the NFL. On the side, he made an insane amount of money from endorsements on the side, including Papa John’s, Nationwide, Gatorade and Buick. Manning played most of his career with the Indianapolis Colts, and retired at the top of the league after winning his second Super Bowl. The man known to millions as Captain America is worth an estimated $600 million. 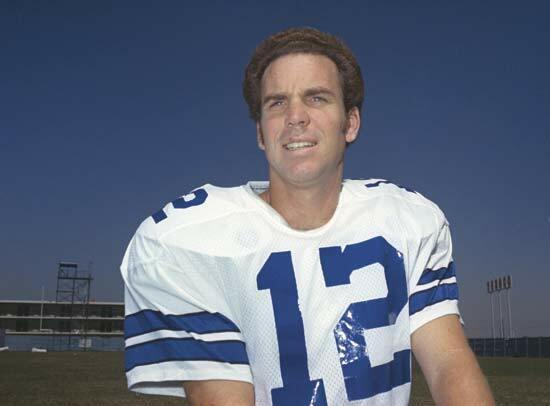 Roger Staubach starred for the Dallas Cowboys for 11 seasons, throwing for 22,700 yards and 153 touchdowns. He won two Super Bowls and was inducted into the Hall of Fame in 1985. But Staubach made a lot of his millions from his private business. In 1977 he started his own real estate company, while still playing. He sold the company nearly three decades later for $640 million. According to Forbes he owned $12 of the company when it was sold. *Sources: Celebrity Net Worth, Forbes and Spotrac.